Booking Blitz--Get your January parties scheduled now. Are you recovered from Black Friday? Wow what a week. I hope that you were able to have a good holiday with your family and make some great sales. One of the big problems that happens in December is consultants tend to take the month off and then the first of January rolls around and you have nothing, no parties, no leads, no business. So this week I want you to take a look at where you want to be in January and be a part of our team booking blitz. What: A one day blitz to get your January calendar booked. Why: January is a great month for home parties (women are ready to take some time for themselves) but you need to get your January parties scheduled in December. December is a busy month for everyone so take one day and get your calendar booked up. How: On the phone, the fastest and easiest way to book a party is to call someone on the phone. You can also post on Facebook and email but 99% of your effort should be spent on the phone. Prepare: Okay so to have an awesome booking blitz you need to get organized. 1. Make a list of people you are going to call to set up parties. So between now and Thursday make a list. · People that ordered from Black Friday that have a double dip waiting for them. · People that have expressed interest in hosting a party in the past but never got it scheduled. · People that have attended an expo or event. · Ask another direct seller. If you have a relationship with someone that sells another product ask them if they will host a party for you (they might want to trade parties so be ready for that). A short story: A while back my friend Julie, a Tupperware lady, was telling me that she had a huge goal for the month and had two parties cancel she was scrambling for parties. She wasn’t asking me for a party, just chatting. Well I know how it is so I offered to host a party for her. It turned out great and she got a little closer to her goal. 3. Go for no. Sometimes calling people on the phone when I know that a lot of them are going to say “no” is intimidating for me. So I make a goal of how many “no”s I want to get. For example I might have a goal to schedule 6 parties AND to get 15 “Nos” for this challenge I would think that I could call enough people to get at least 15 nos. That way when I get a no I’m not upset I’m reaching my goal. · 1st person to get their calendar full during the challenge—a full calendar means 6 parties wins the Sawyer Mini filter. Are you the 1st at getting a party booked or getting your calendar full? Post it on Facebook, email me or call me. The first person I hear from will be the winner. · Be excited about January parties. · Offer a great fun party experience—offer themes, girl’s night out, date night etc. · Follow up with Black Friday sales that can double dip. o What is the double dip? The double dip is a promotion offered by Thrive Life to encourage customers to book a party. When a customer orders and then books a party (from that same party) that order counts towards the host benefit of the party it was placed at AND at the party the customer hosts (within the next 90 days). o How to talk about the double dip: “Hi Krista this is Heather from Thrive Life. Is this a good time for you to talk? (Yes) I’m calling to check on your Black Friday order. It looks like you ordered Strawberries and a Harvest. Has your order arrived? Did you get your shelf set up? Great. Hey would you be interested in hosting a Thrive Life party in January? I ask because Thrive Life offers hosts a really great benefit, you get to count your BF order towards your party in January. So you have $50 in free product waiting for you at your first party. What day of the week works best for you? Thursdays? I have two Thursdays available would the 5th or the 12 work better for you? Here is the first email I sent this week about the Black Friday Sale. The biggest sale of the year on Thrive food is just around the corner with savings of up to 50% off and ALL Thrive foods on sale. *All prices listed above are for number 10 cans. All sizes are on sale. To view the entire sale go http://homeparties.thrivelife.com/blackfriday and expand the categories by clicking them. Place the quantity you want in the box next to the product and scroll down to the bottom to "add to cart". Simple as that! You can see all the sale prices now but the sale starts on Black Friday November 29th and ends Monday December 2nd. This sale is while supplies last and the best deals go fast. So order early! I know your holiday week will be busy so you can pre-order with me before Wednesday November 25th by 5 pm MST, and make sure you get the items you want! Email or call 435-535-1470, with your pre-order. P.S. I’m giving away one lucky customers pre order for FREE. All preorder will be entered submitted by Wednesday November 27 at 5:00 p.m. MST and you’ll be entered to win. I know your holiday week will be busy so you can pre-order with me before Wednesday November 25th by 5 pm MST, and make sure you get the items you want! Email Heather at heather@teamshelfreliance.com or call 435-535-1470, with your pre-order. 1. Make sure your URL is set up. Remember your URL is charged to the same credit card you have your Q charged to. You can turn your URL on and off as needed. 2. Make sure you Q is set where you want it. a. If you want your Q to process during the Black Friday sale you can but you HAVE to call customer service to get it moved. Usually Qs cannot process after the 28th of the month because it causes problems if someone’s Q is set to process on the 30th and that month doesn’t have a 30th. b. Make sure you adjust the budget amount to be the correct amount for whatever rank you are going to hit in November. You might need to adjust your Q budget up so that you will qualify for this month. It would be a tragedy to hit a new rank in personal sales and team sales only to get paid at the old rank because you had your Q set up wrong. Double check on the chart below. See the chart below. 3. Send you a pre order email (see an example below). This lets the customers know the sale is coming and gets them thinking about what they might want. 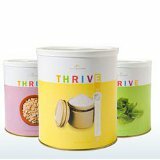 Each November Thrive Life (formerly Shelf Reliance) has a HUGE Black Friday sale. I know many people start planning their black Friday shopping well in advance so I wanted to make sure you had all the info. Black Friday Sale starts Friday November 29th at 12:00 a.m. MST and Ends Monday December 2nd at 5:00 p.m.
Quantifies will be limited. No rain checks, no back orders. The sale items will be announced a few days before the start of the sale so watch for the sale email to come around Monday November 25th. Simplify your life and preorder: Start thinking about the top 10 items you would love to add to your home store. Email me your list and as a soon as I know what’s on sale I’ll call you can we can finalize your order to include those items that are on sale. P.S. 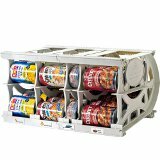 If you have ever wanted a Harvest Shelf this is the time to buy it. So let Santa know that you really want a shelf.